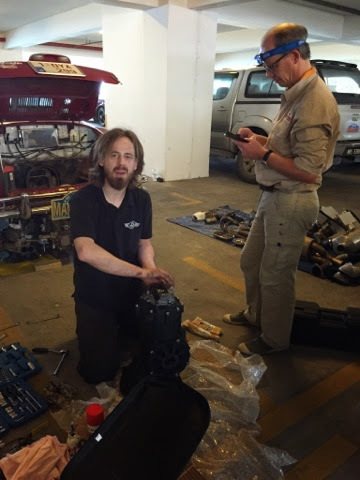 Xavier from Riverside Motors in Nivelles (Belgium) arrived in Georgetown (Penang) with a new gearbox. VW Malysia had kindly offered us to use their workshop in Georgetown, but by the time Xavier cleared customs with our gearbox, we were running late and decided to make up for time and started to work in the hotel carpark. 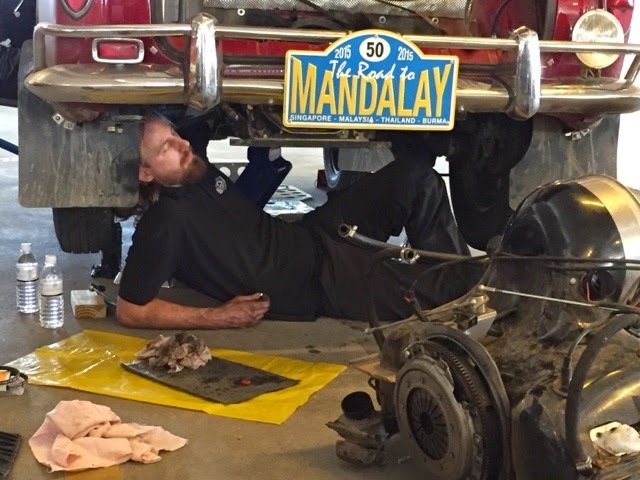 Xavier (with our humble help) then started working flat out on getting the engine out, getting the broken gearbox out, installing the new gearbox, reinstalling the engine and testing the car. At 2am last night we were still working on the engine. This morning we were ready to roll. 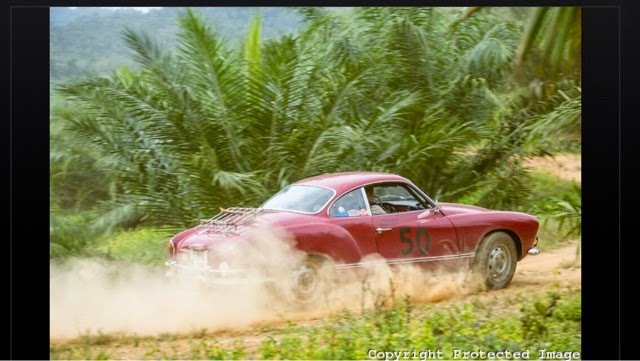 The time trial this morning in the rice fields was good fun and the Karmann Ghia was happy to have its fourth gear back. 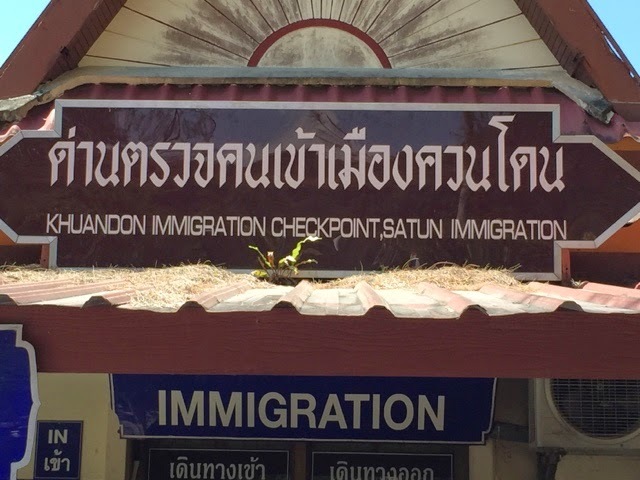 We then crossed the busy Malay/Thaï border and are excited to discover the Thaï tracks.